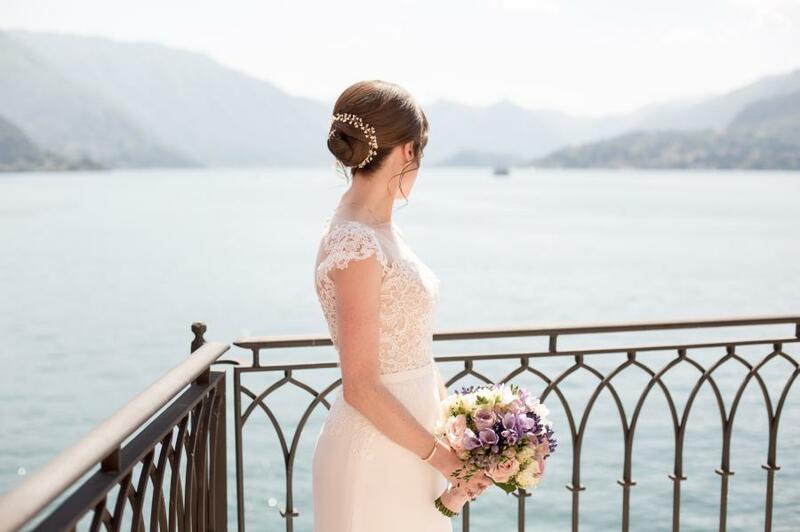 "We had a wonderful wedding in Lake Como, please find attached some photos of me wearing the hair vine, it was beautiful, I really enjoyed wearing it." Thank you so much Helen, we are delighted to have been a part of your dreamy wedding in Italy. Helen had chosen a Gypsophila mini hairvine for her wedding. Lovely wedding photography by Daniela Tanzi. Amazing wedding planning by Junko Sato at Distinctive Italy Weddings.